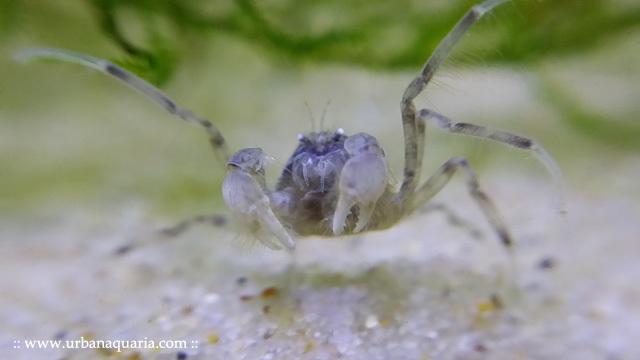 I've been keeping a small group of thai micro crabs in one of my planted tanks for the past 2+ months, and during that period i only saw them appear a handful of times. So i decided to transfer them to another tank with a more suitable layout that allows them to be observed easily, yet still replicating a dense plant environment for them to hide and feel safe. 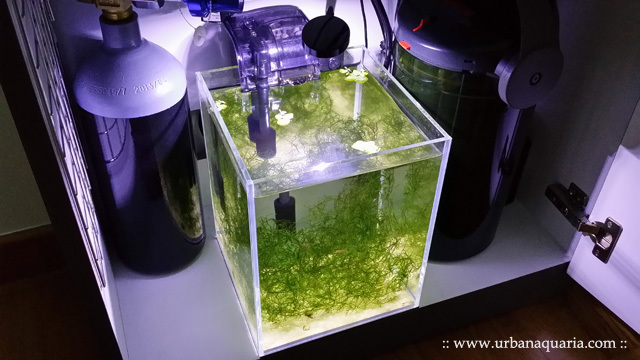 I converted the 10 Liter nano tank situated inside my tank cabinet into a thai micro crab habitat. 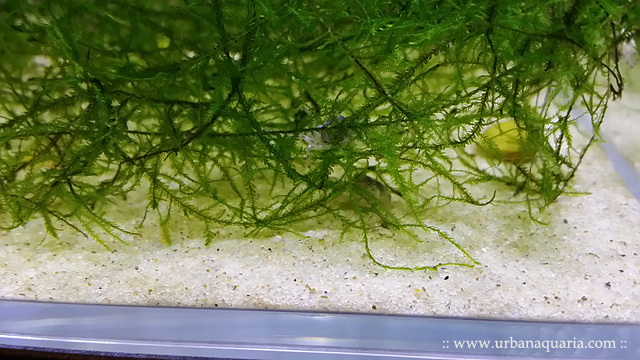 Clumps of java moss were added to create a latticework of plant strands for the micro crabs to climb around on and forage for food. They share the tank with a few golden clams and some cherry shrimps. This setup seems to be working well as i noticed the micro crabs are much more active in this tank, and yet i can still view them quite easily. 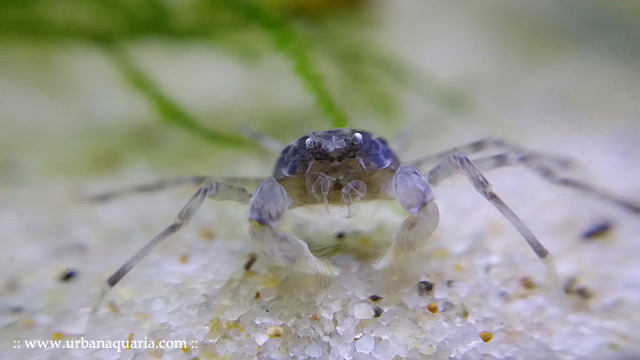 These thai micro crabs are really unique creatures when you can see them in such close-up detail... but due to their incredibly tiny sizes, unless they are viewed through a macro lens or magnifying glass, most aquarists would probably never get to observe and appreciate them to this extent. Yes, the tank's substrate is Sudo Reef Sand.